Solus Decor have collaborated with Border in a Box to create a sensory garden for BBC Gardeners’ World Live. 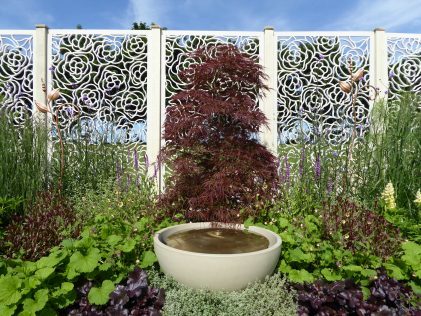 Solus Decor worked with Border in a Box to provide the water element of the sensory border at BBC Gardeners’ World Live entitled the Jar of Life. The border had a focus on wellbeing using sensory plants with inviting scents, taste, touch and feel. 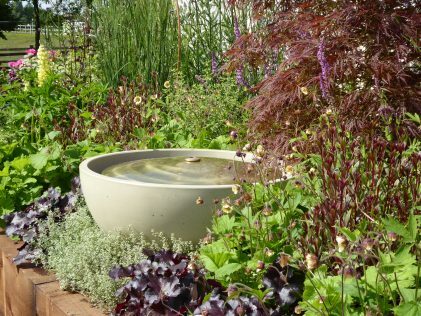 Border in a Box incorporated the Solus Decor water feature as part of the design to contribute to the feeling of calm and wellbeing in this sensory space. This inviting space created by Border in a Box proved to be a big success at BBC Gardeners’ World Live, winning a platinum award from the judging panel. What is Border in a Box? Not familiar with Border in a Box? 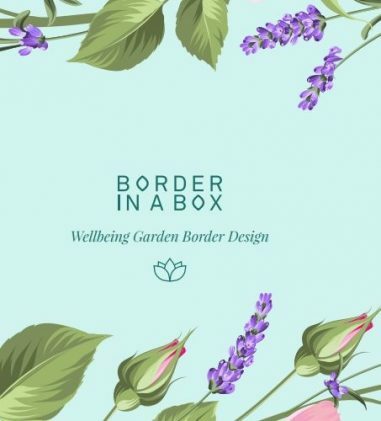 Border in a Box provide garden border template kits to enable anyone who is new to gardening or time poor the confidence to buy the right plants and know where to put them. Border in a Box allows you to achieve a beautiful border easily in less than a day. To celebrate the border created for Gardeners’ World Live they have launched the new wellbeing border. The Solus Decor water features are made from high performance concrete. They are designed to withstand all the elements whether indoors or outdoors. The Water Dome is a self circulating water feature making it both simple to install and environmentally friendly due to the recirculating water. The soothing and relaxing qualities of water are well known. Water evokes the idea of wellbeing and self care that are so important in today’s fast paced lifestyle. 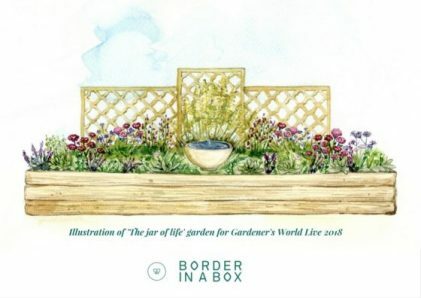 To find out more about Border in a Box at BBC Gardeners’ World Live, why not have take a look at the feature on the BBC presented by garden designer Mark Lane. 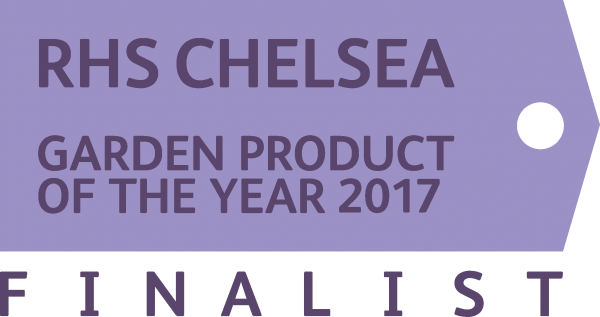 To find out more about Solus Decor water features get in touch.